Today I would like to talk about Kinshasa, the capital and largest city of the Democratic Republic of the Congo (DRC). It is located on the Congo River, which happens to be Africa’s largest river, the deepest river in the world, and the third largest in the world by the volume it discharges. Kinshasa is a city of over 9 million inhabitants and directly faces Brazzaville, the capital of the Republic of the Congo: these two sister cities are separated only by the river Congo (the only place in the world where two capitals of two countries face each other). Residents of Kinshasa are known as Kinois. When did it all start? Well, Kinshasa was founded in 1881 as a trading post by the explorer Henry Morton Stanley who named it Leopoldville in honor of the Belgian king Leopold II, who controled the immense territory of DRC as his private property and not just as a colony. Prior to 1920, all goods arriving by sea in Congo were carried by porters from Matadi (the main port city of Congo), and Leopoldville over 150 km from the coast. From 1886 to 1926, Boma (located on the Congo estuary) was the capital of the Belgian Congo; but after 1926, Leopoldville became the capital. 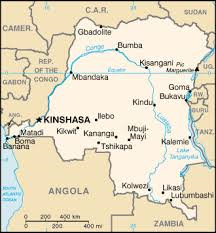 In 1965, Joseph-Desire Mobutu who had risen to power after coups d’etat against Patrice Lumumba in 1960, and a second one in 1965, renamed the city Kinshasa in an effort to africanize the names of the people and places in the country. Kinshassa was the name of a village which used to be near the site of the present city. In Kikongo, Kinshasa means “the salt market“: “nshasa = salt” and locator ‘ki‘. The region of Pool Malebo, where Kinshasa is located, has been inhabited since at least the first millenium before our era. However, before colonization, different Bantu groups have occupied the area. During the 16th and 17th centuries, the region of Pool Malebo became a major commercial hub between the river basin and the coastal regions. The Bobangis (also called Bangala, or people of the river) managed the major part of the commerce with the equatorial forest by navigating the river up to the Téké villages of Pool. During the 18th and 19th centuries, more villages develop themselves in the area, which became known as the Batéké plateau. The principal Téké villages were Nsasa with almost 5,000 inhabitants, and Ntambo with at least 3,000. By the time Henry Morton Stanley reached the area on 12 March 1878, the region was already home to 66 villages, and a total population of over 30,000 inhabitants. Stanley chose this location as it was the area where the Congo river became navigable. By the time the city changed its name from Leopoldville to Kinshasa in 1966, the city rapidly grew due to rural exodus of people coming from all parts of the country in search of a better life. In 1974, Kinshasa hosted ‘The Rumble in the Jungle‘ boxing match, a historic match between Muhammad Ali and George Foreman, in which Ali defeated Foreman to regain the World Heavyweight title. This has been one of Ali’s most famous matches: if you watch the movie Ali, you can see scenes of Kinshasa there. Situated in an area belonging to the Batéké and Bahumbu people, the lingua franca of the city is the Lingala, while the administrative language is French. 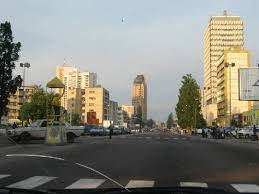 Kinshasa is also a province of DRC (a bit like the district of Columbia in the US), and is the second largest francophone city in the world, after Paris. 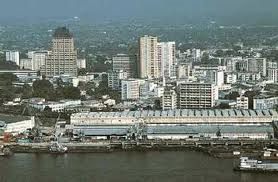 Its current population is 9 million inhabitants, making it Africa’s second largest cities after Lagos in Nigeria. Please check out the website for the city of Kinshasa, and Kinshasa-Congo travel to learn about the great city of music and art; I also liked the blog kosubaawate which goes through the evolution of Kinshasa then and now (i.e. before independence and now). Enjoy the video below which I enjoyed for its quality, music, and of course its great content. Thank you for linking to this article. I loved yours. That was a very informative article about the DRC’s capital and largest city. I had to tell some WWE fans that it’s not just Shinsuke Nakamura’s finishing move and that it’s an actual city not too long ago. Haha! Neat! How weird that people will think about it as someone’s finishing move!